July 3rd marks 45 years since Jim Morrison passed into the spirit world. 43 Years Since Jim Morrison Died. Remembering Jim Morrison 42 Years Later! July 03, 2013 marks 42 years since Jim Morrison passed into spirit. It’s hard to believe that Jim Morrison has been dead for 42 years. In the short 27 years that he lived he left a major impact on the world. He said, “No one will ever forget me, Ever.” And what a true statement that has been. You can go to any country in the world and sing a few bars of “Light My Fire” and people will instantly recognized that song. If you show people a picture of Jim Morrison they know exactly who he is. He lived a hard fast life, but he left so much behind that has inspired so many people. There are those that love to judge him because he drank and did drugs, but that is not the sum total of the man. He was a philosopher, poet, song writer, and singer. The magnitude of work that he left behind shows that he did not spend all of his time stoned out of his mind. He understood his purpose in this life and knew that he would not live long. How many people understand their purpose in life at the age of 18? I consider Jim Morrison one of the most spiritual people in rock and roll music although many would not think so. He studied philosophy and many different spiritual teachings and these are reflected in his songs and poetry. Often people do not get what he was saying because it goes beyond the way that many express themselves artistically. He was an old soul who understood more than most. Jim loved pushing people’s buttons. He was a true rebel and never compromised himself. Jim Morrison will always be remembered! Click here to view my Collection of Photographs of Jim Morrison. Remembering Jim Morrison 41 years Later! It’s hard to believe that Jim Morrison has been dead for 41 years. In the short 27 years that he lived he left a major impact on the world. He said, “No one will ever forget me, Ever.” And what a true statement that has been. You can go to any country in the world and sing a few bars of “Light My Fire” and people will instantly recognized that song. If you show people a picture of Jim Morrison they know exactly who he is. I am sure that many people are thinking as they read this that I am crazy. No, I knew about spirit guides, but never gave it much attention. From that point on I started paying attention and have learned a great deal, and it has not always been easy, but I am grateful to have this guide. 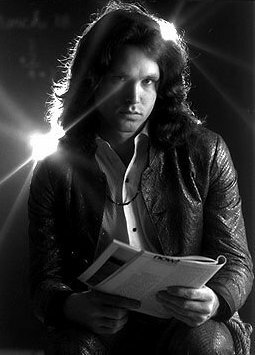 Many people have felt a connection to Jim Morrison outside of just being a fan, and I know that he is working in spirit to help many people. In fact there has been a book written by a psychic who claims to have channeled his spirit. Jim was the first rock star to ever be arrested on stage during a performance. This happened December 9, 1967 in New Haven, Connecticut. He was booked on charges of indecency, public obscenity, disturbing the peace and resisting arrest. Before the concert Jim was backstage making out with a girl. A police officer spotted them and said they had to leave. Jim told the officer he was in the band. The cop got pushy with Jim. Jim tried to push him away and then the cop maced him. Jim still went on stage and performed the concert. During the last song Jim started to tell the crowdabout what happened backstage. The cops shut the music down and came directly onstage to arrest him. From that time onward the police were always looking for an excuse to come after Jim. Click Here To Continue Reading The Rest Of This Article.